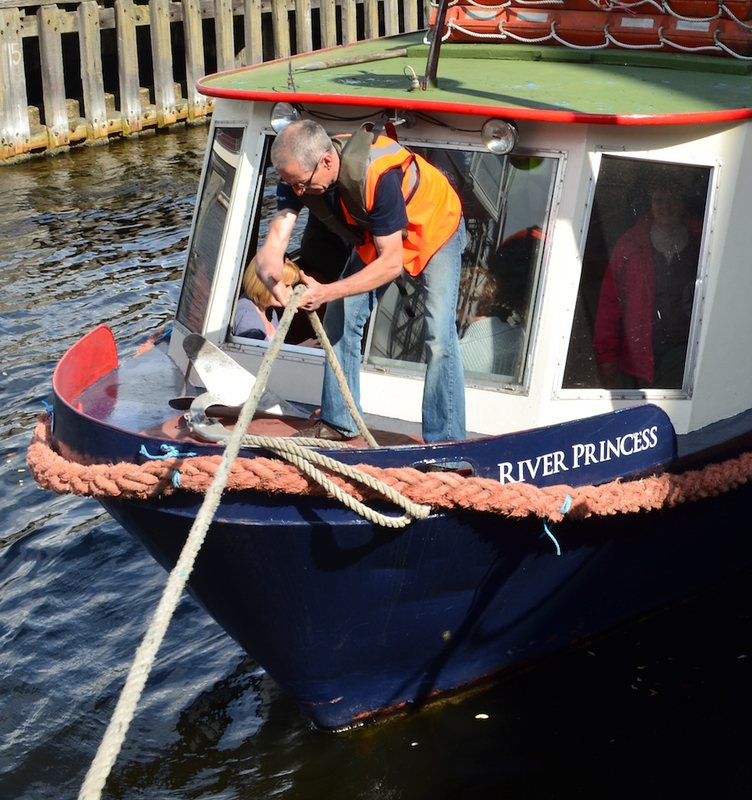 The River Princess is now fully restored and back in the water. 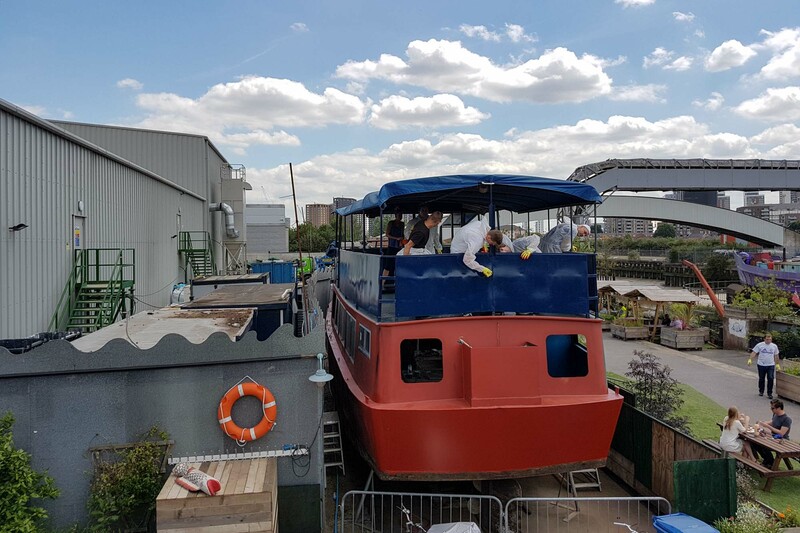 It will soon be operating as a training ship, offering heritage and environmental tours on the Lea River and opening as a bar in the evenings. The River Princess comprises of two indoor rooms on the lower deck, which open out to create one large space that accommodates up to 90 people. The back saloon has a fully stocked bar and canteen, whilst the front saloon comes with integrated audio visual equipment suitable for conferencing, presentations and other functions. The top deck is open large covered space and makes a superb viewing deck. 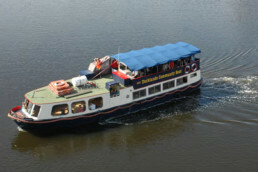 Built for the river Thames in 1985 by Dobsons of Shardlow, the River Princess was operated by Weaver Valley Cruises on the Weaver and The Manchester Ship Canal until our charity purchased her in 2011. 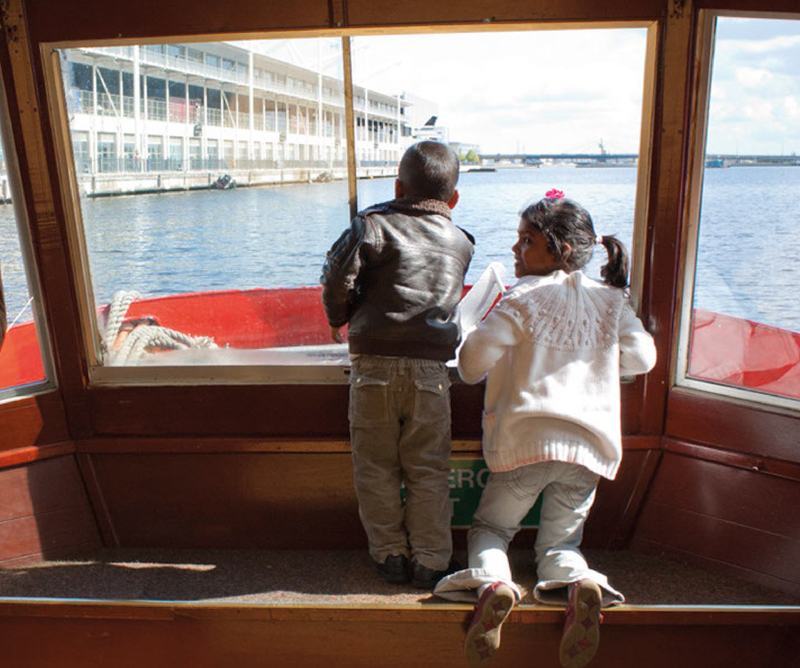 With support from the Big Lotteries Awards for All funding scheme, we ran a small pilot community boat service in the Royal Docks for a year and in that time recruited and trained 15 volunteer crew and took over 4,000 passengers on tours. 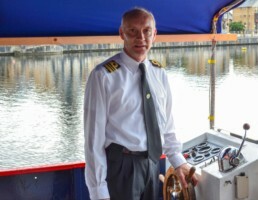 Her last trip before going into dry-dock at her new home in Cody Dock was as one of the 1000 ships that took part in the Queen’s Diamond Jubilee Pageant in 2012. 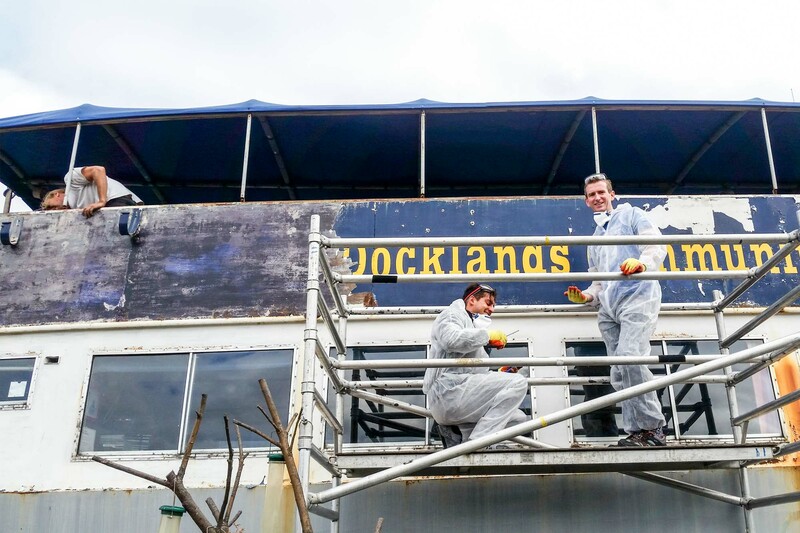 With further generous funding support from Thames Water and a match funded loan from Big Issue Invest, work began in earnest on the total overhaul, servicing and refit of the River Princess at the tail end of 2016. 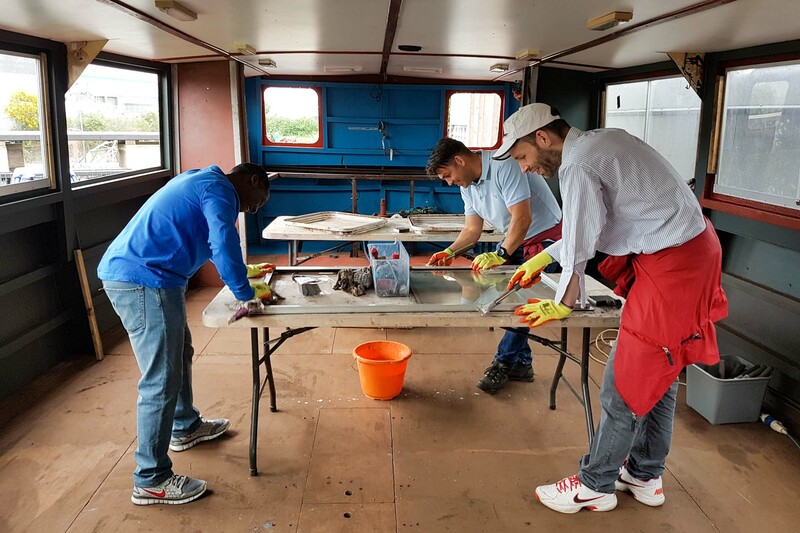 Over the course of a year and a half some 600 people volunteered and partook in the boats restoration and the relaunch of our Community Boat service at Cody Dock. 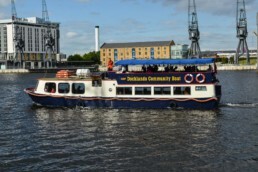 Ideal for educational field trips, corporate away days and private functions, the River Princess comprises of two indoor rooms on her lower deck which open out on one another to make one large space that accommodates up to 90 passengers. The back saloon has a fully licensed bar & canteen, while the forward saloon comes with integrated audio and visual equipment suitable for schools and work based presentations and other functions. 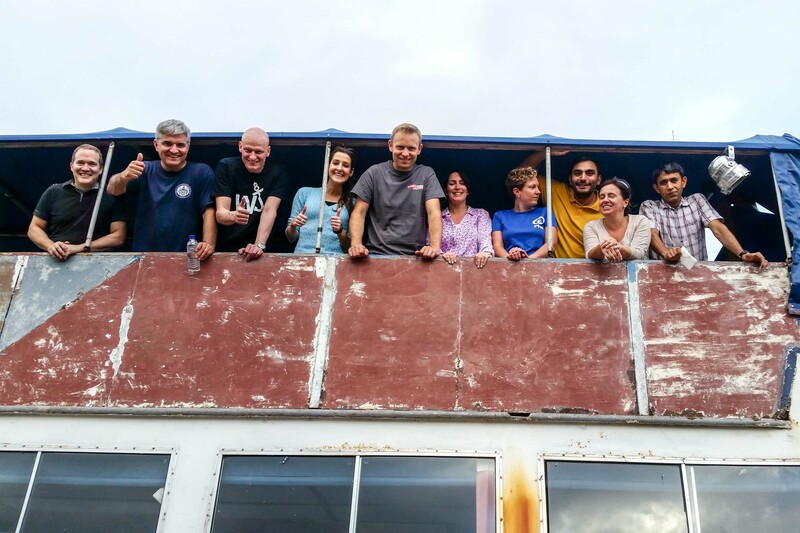 The top deck has a single large covered open space and makes a superb viewing deck and ancillary space. 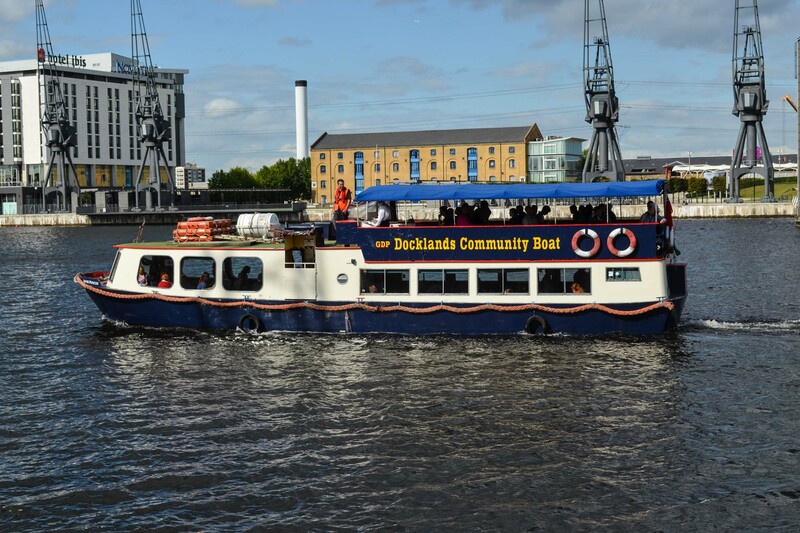 In addition to schools packages, corporate team building sessions and simple private hire, our Community Boat service is able to offer a range of tailored environmental and heritage boat trips for groups of all ages and sizes. 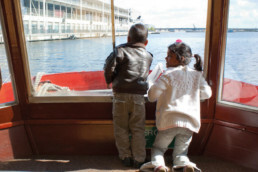 The Lea as Domestic Resource & Wildlife Haven boat trip; discover the Lower Lea River and learn about how this river not only plays a vital role in supplying London with much of its drinking water but also supports an amazing array of wildlife. This trip includes a guided tour of the Lower Lea, taking in Bow Ecology Park, Cody Dock reed bed, Cody Wilds, Three Mills Island, Channelsea River the Northern Outfall and Joseph Bazalgette’s Pumping station. 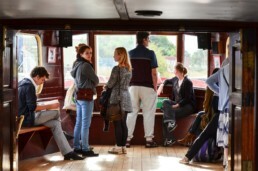 The Lea River Heritage boat trip; The Lower Lea once provided a boundary between the Danes and Saxons and in more recent times during the industrial revolution was home to an explosion of technical and social innovation. 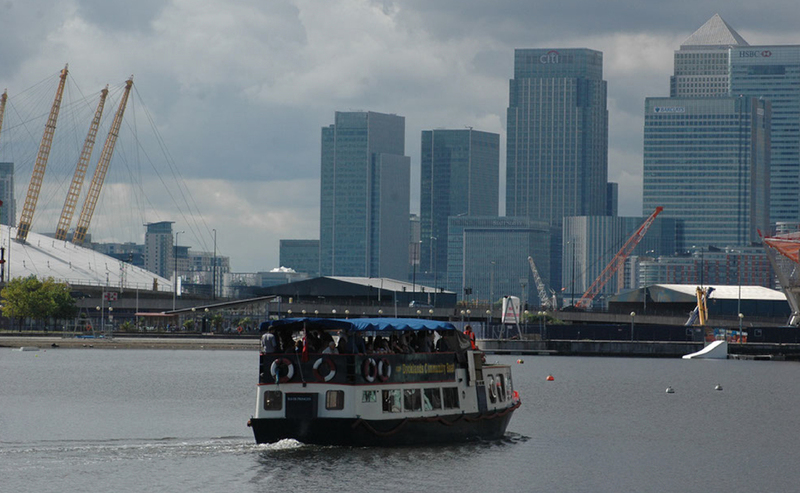 This guided tour is the perfect way to explore this amazing history and takes in Three Mills, the listed gas towers of the Imperial Gas and Chemical Company, Cody Dock, Priors Wharf, Trinity Buoy Wharf and the site of the mighty Thames Iron Works. 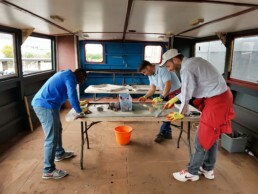 Floating Classroom; GDP has teamed up with the clean-up and environmental charity Thames21 to provide the ideal floating classroom for primary schools to discover the tidal Lea and Thames during their river studies with Thames21. 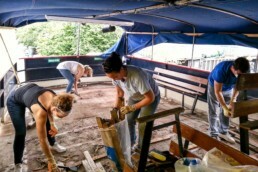 Corporate Volunteer Days; Cody Dock has over 6 years of experience working with corporate volunteers and this work continues to be at the heart of our mission to promote greater inclusivity and insure everyone has the opportunity to be involved in the ongoing development of Cody Dock and the surrounding area. 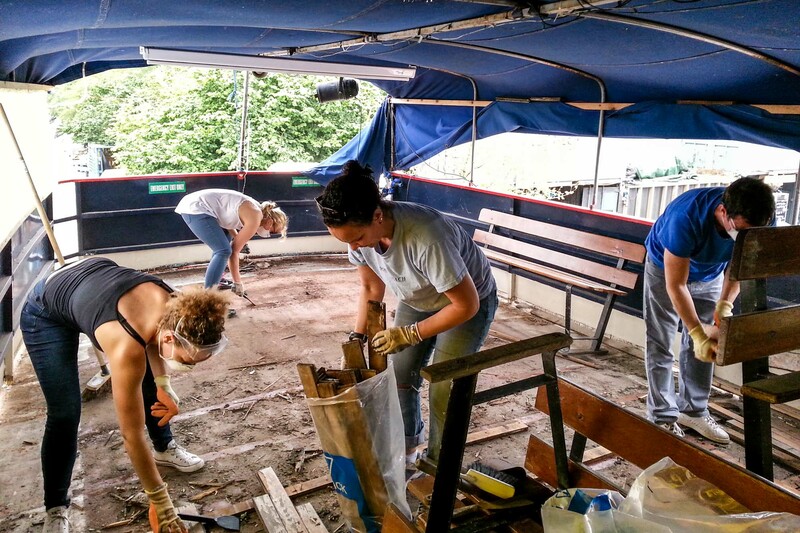 Suitable for groups of 10 to 35 people, these one day sessions are available up to four times a year and help our charity maintain the River Princess and community boat service. 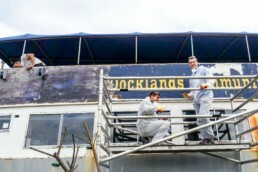 Possible activities could include; painting and decorating, boat maintenance or even working in waders in the dock! Priced at £40 + £12 for lunch per person. 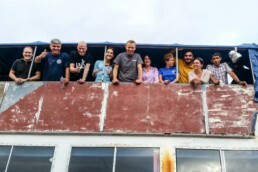 Team Building Away Days; suitable for small groups of 6 to 12 people, these one day sessions give people a unique opportunity to get out of the office or their usual working environment and spend the day learning about something new together as a team. 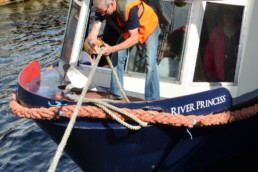 Participants will learn about basic boat handling in the morning, break for a splendid lunch provided by our onsite cafe and then actually get to crew the River Princess on their own private boat trip in the afternoon. These days not only help fund our schools program but can also become a great introduction to our boat handling training and regular volunteering schemes. Priced at £140 + £15 for lunch per head. 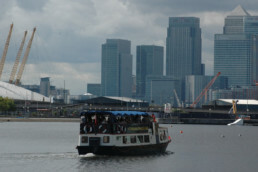 Venue Hire; Located within minutes of Star Lane DLR station with journey times to Canary Wharf, City Airport and Stratford inside 15 minutes, The River Princess offers a highly accessible yet unusual setting for corporate functions such as team away days, corporate events and office parties. 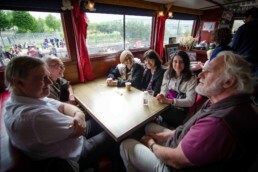 With two separate indoor area’s suitable for groups of up to 40 people, the River Princess is often available as a static venue moored at Cody Dock and is fully equipped with audio and visual equipment for conferencing. Static venue hire is charged at £75 per hour and additional services such as catering and technical staff are available upon request. All our corporate packages can be accompanied by use of our bar at the end of their session after a hard days work! The River Princesses lovingly refurbished bar serves a great selection of quality ales, West County ciders, continental lagers and fine wines. Commercial boat handling training for tidal rivers; these training sessions are all undertaken on our class V passenger vessel the River Princess and cover an in depth syllabus that includes theory based and practical sessions on navigation, rope work, engine and boat maintenance, health & safety, working with passengers, rules and regulations, piloting, communication, risk management and dealing with incidents. 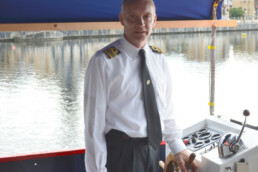 These monthly 3hr sessions are aimed at people either wishing to further their boating handing experience, clock up tidal waters boat handling hours towards gaining their Boatmasters ticket and simply people who would like to try their hand at something new. Spaces are limited and people will be asked to commit to a minimum of 12 sessions over the course of 6 months to a year. All trainees are expected to volunteer crew on our educational and public boat trips as part of their training. 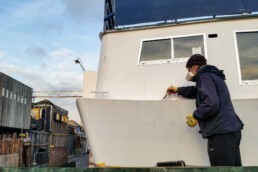 This not only helps us provide trips to schools at rates they can afford but it also means that we are able to offset a significant proportion of the cost of delivering our boat handling training and keep fee to a minimum. Sessions are charged at £14 per person. A number of training positions are available entirely free for young people of 16 or over, local residents, local unemployed and OAP’s. Fees for trainee sessions for people working for other boat operators are also available on request.